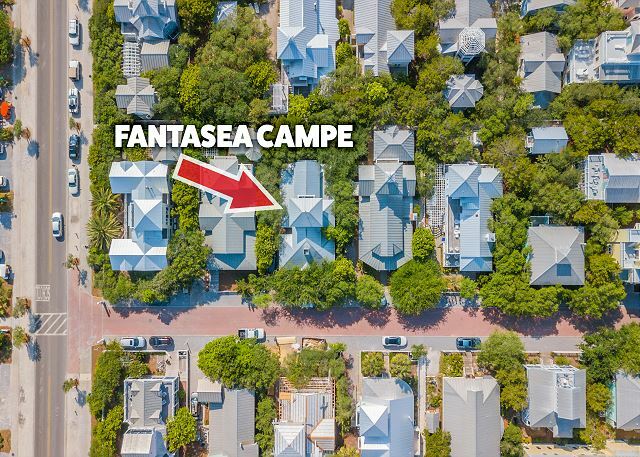 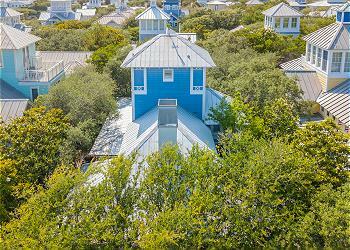 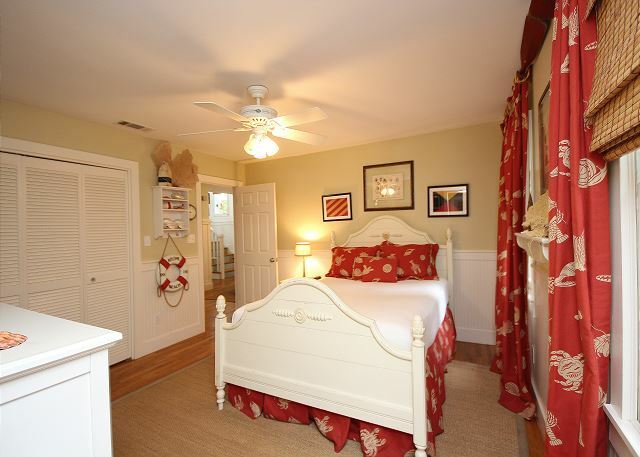 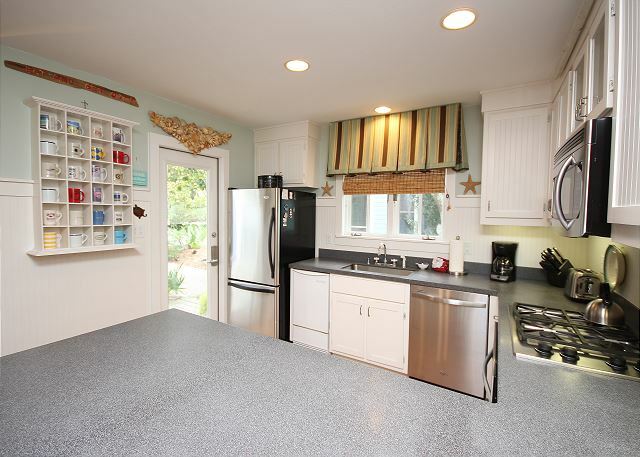 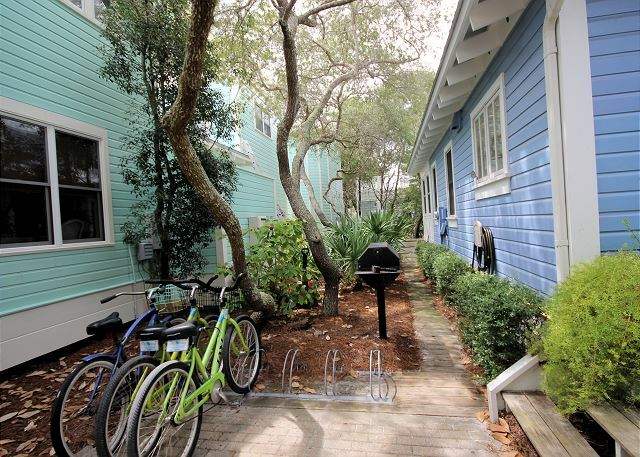 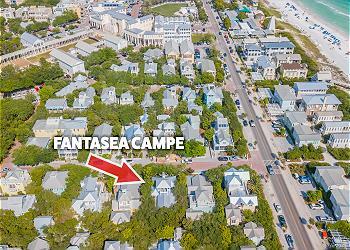 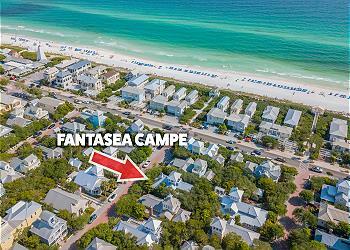 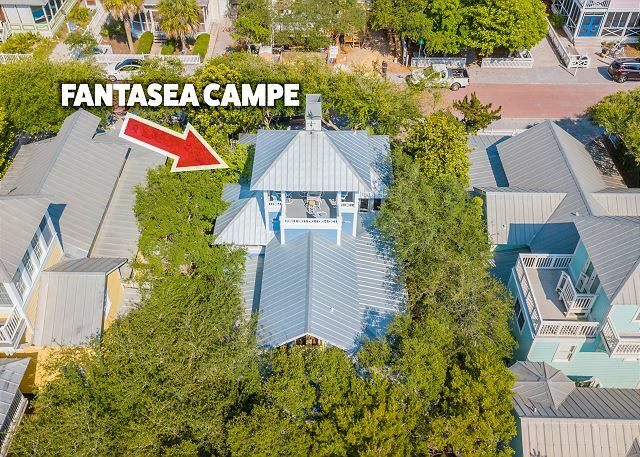 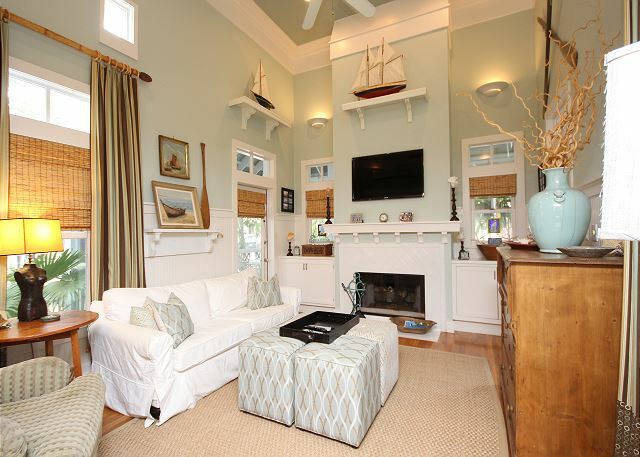 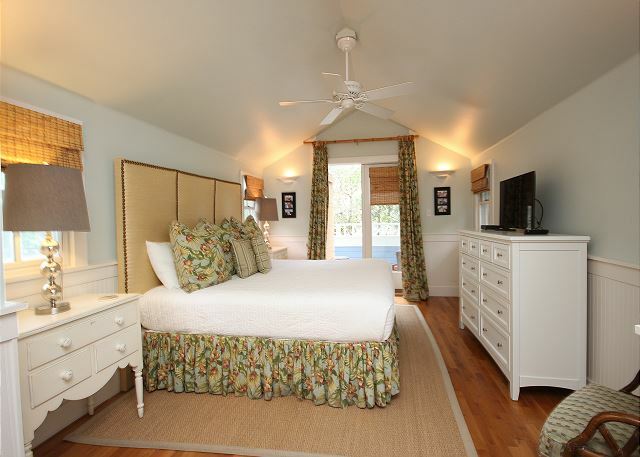 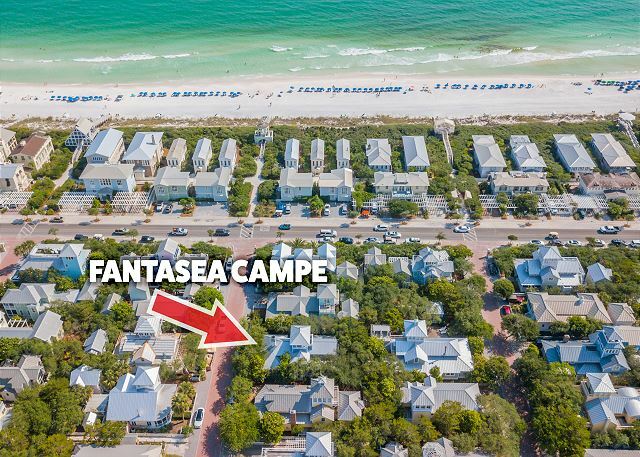 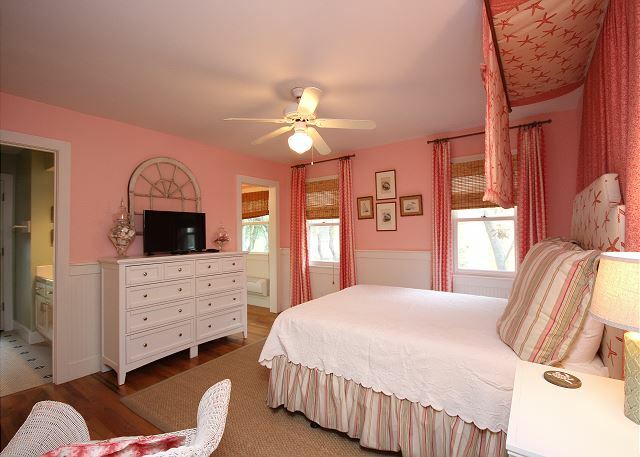 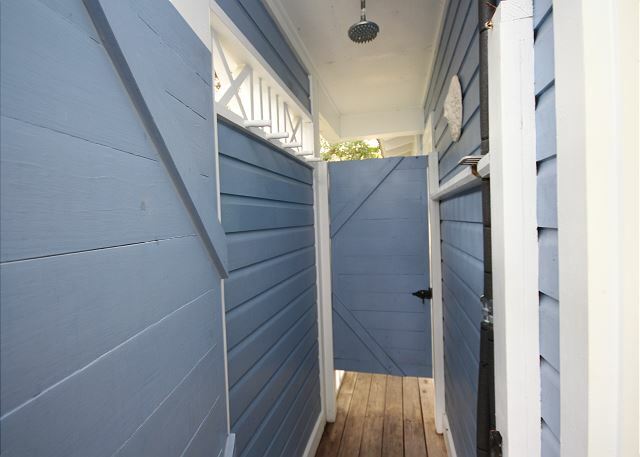 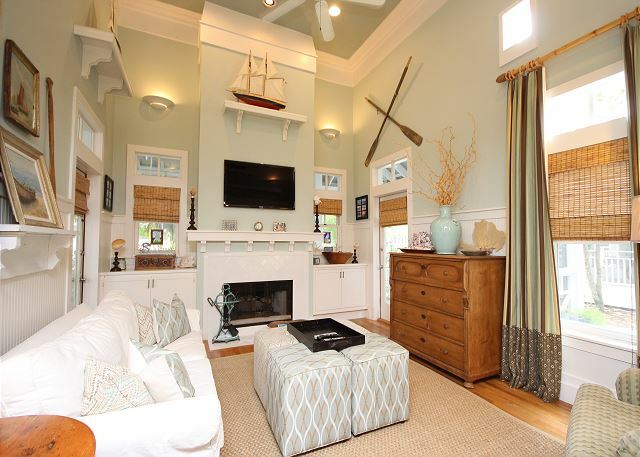 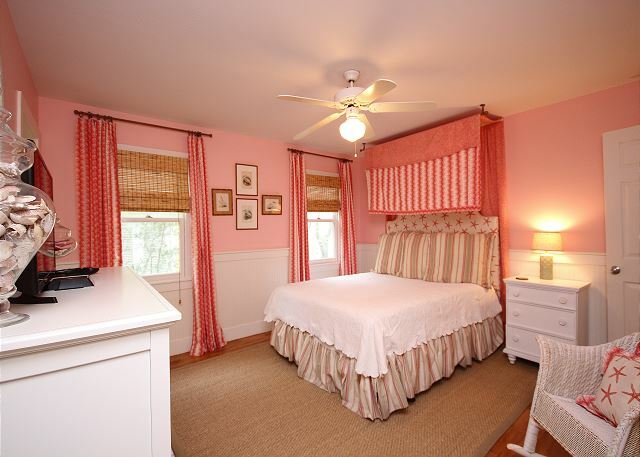 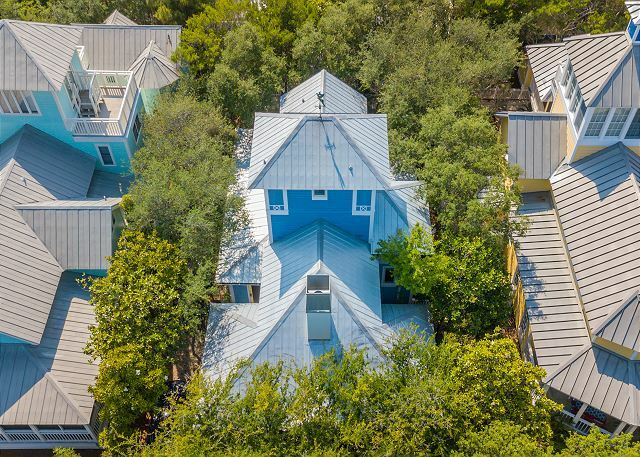 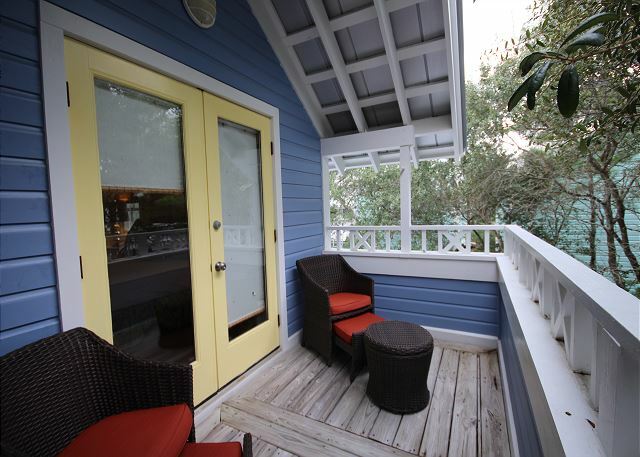 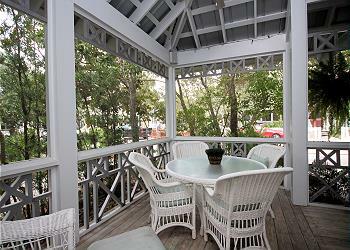 Fantasea Campe is a beautiful 3 bedroom cottage 3rd up from the beach on Pensacola Street in Seaside, Florida! This beautifully decorated cottage offers wrap around porches, 2 bedrooms on the main level with extra sleeping space, and a private tower! 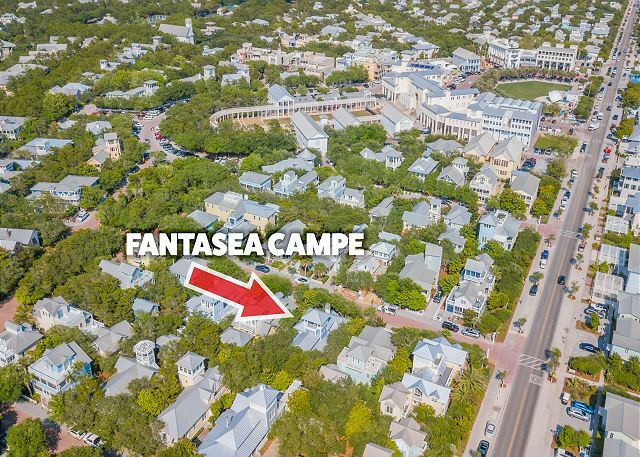 You'll certainly feel like you're at a "Fantasea Campe" when you stay here. 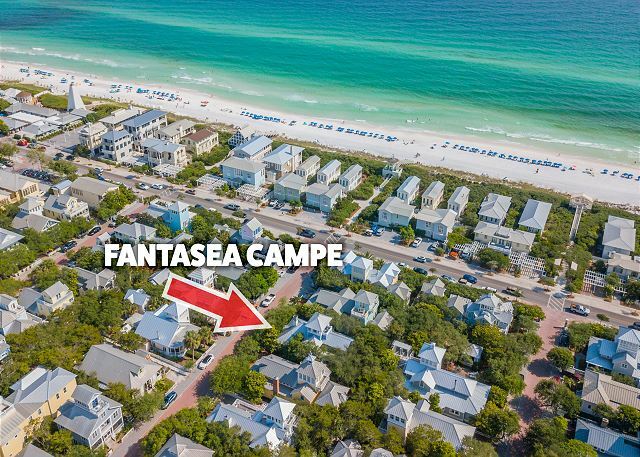 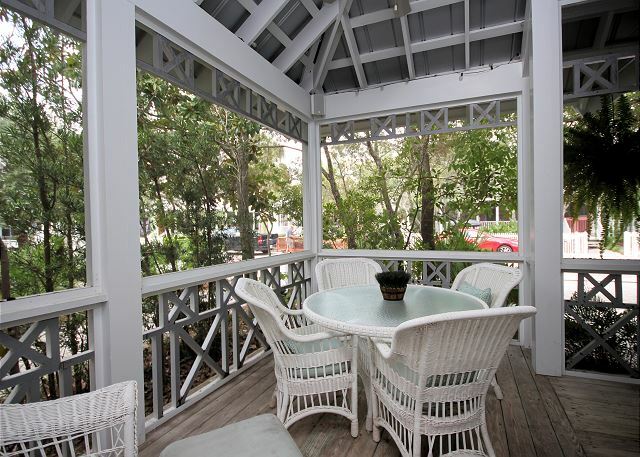 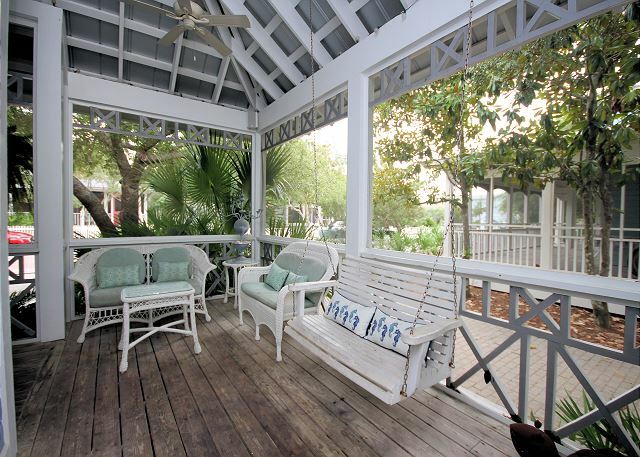 Surrounded by sprawling screened porches and back decks, this cottage offers as much outside living as it does inside - and you wouldn't want it any other way when you come to Seaside, Florida. 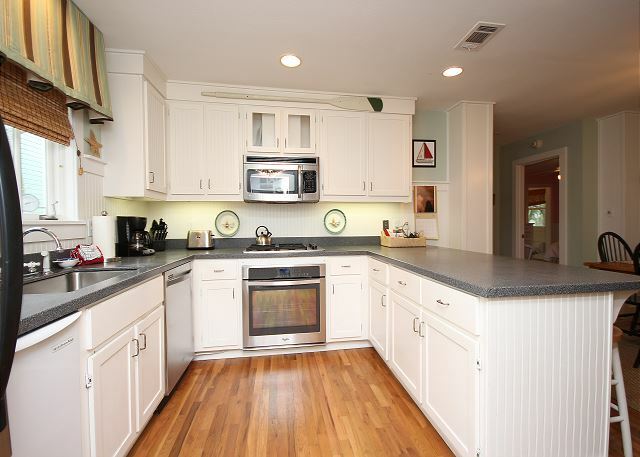 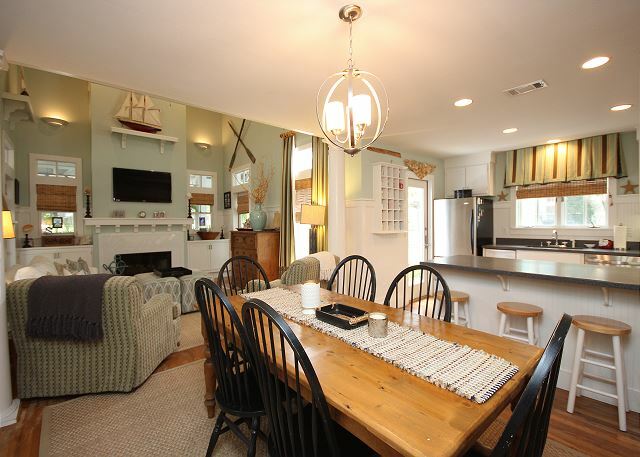 A spacious eat-in kitchen with dining for 6 and bar seating for 3 more is located on the main level, along with a beautifully decorated living room with vaulted ceiling, flat screen TV, and seating for the whole family! 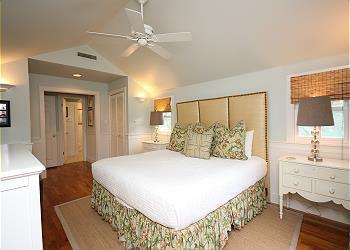 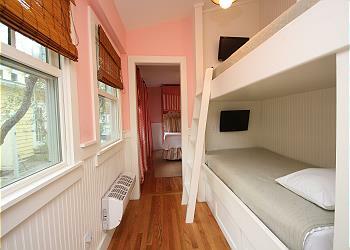 Also on the main level are the 2 guest rooms. 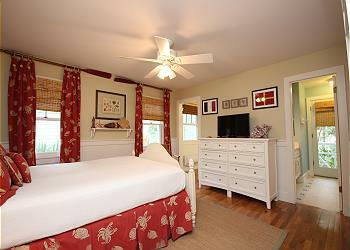 Identical in size, but unique in décor, each guestroom offers a designer queen bed with TV and private bathrooms. 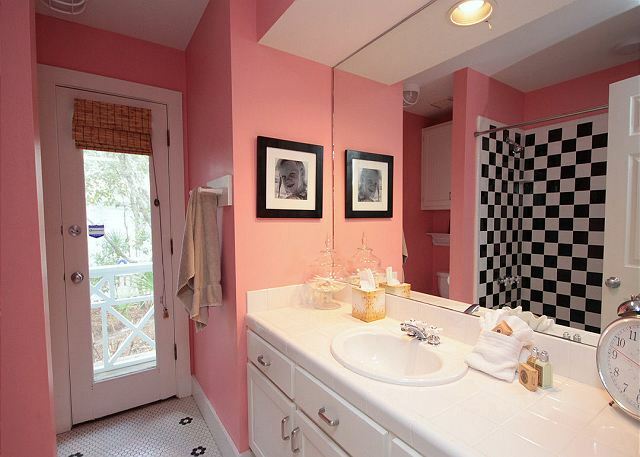 One bathroom is shower only, the other has a bath/shower combo. 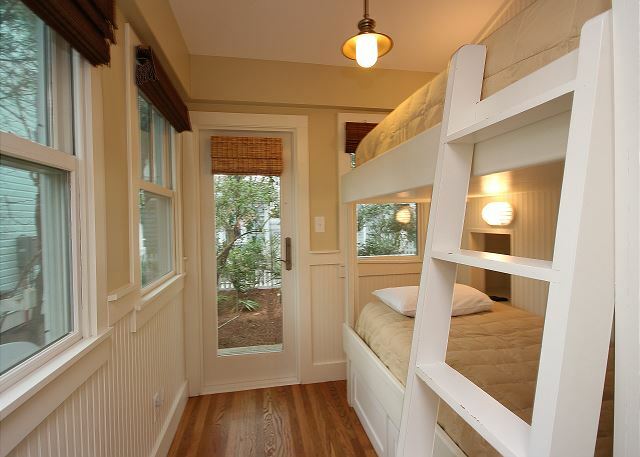 Also, just off each guestroom is a private bunk room nook with single bunk beds that sleep 2 each with additional flat screen TVs. The upstairs boasts a sprawling master retreat with private balcony and master bath. 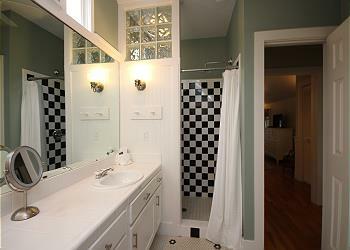 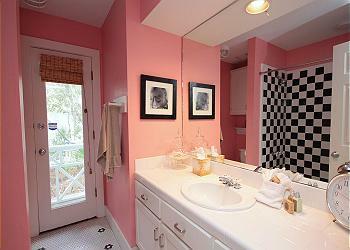 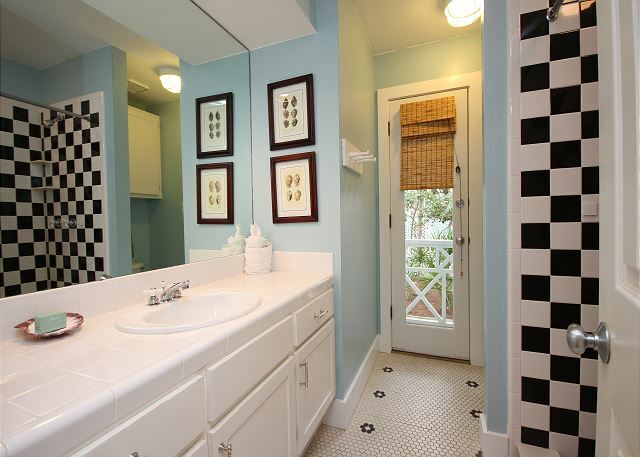 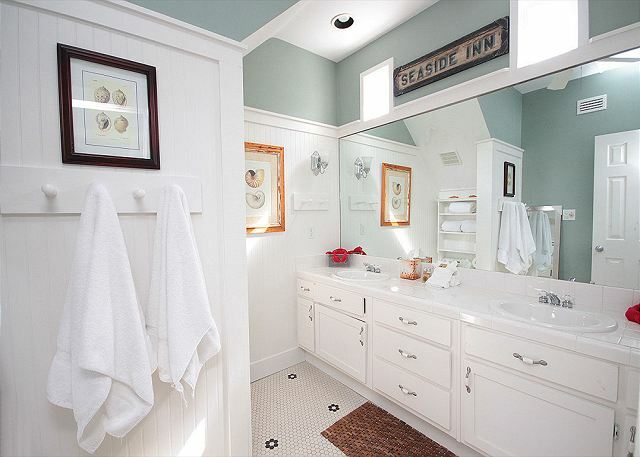 The master bath offers dual sinks and designer tile shower. 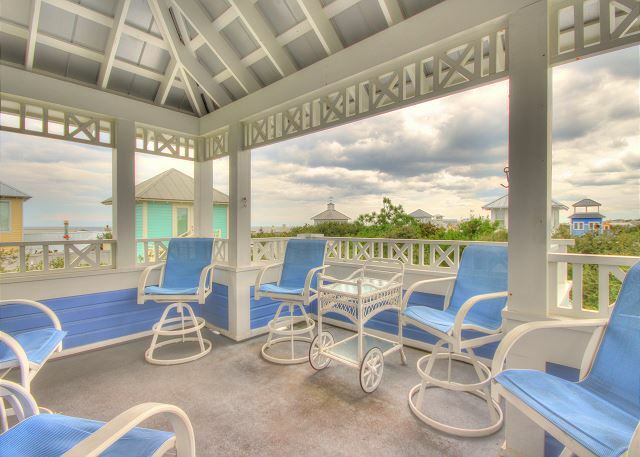 Up once more and you'll see what all the talk in Seaside is about with your private tower view! 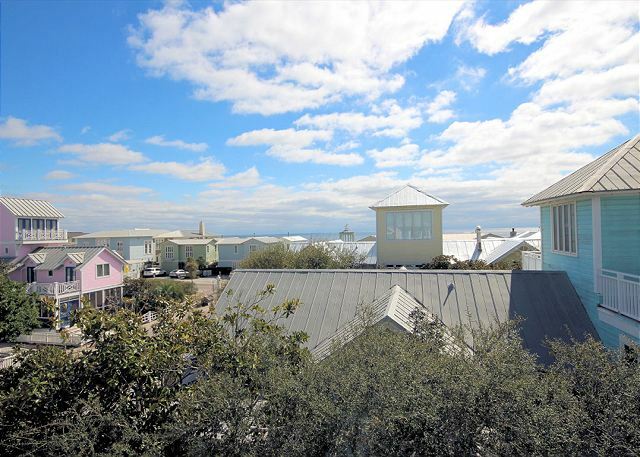 The gulf and town are at your fingertips. Watch the sun rise or set from your very own rooftop tower! Come for a week or stay for the month - no matter how long you visit, you're sure to have the time of your life when you stay at the Fantasea Campe! 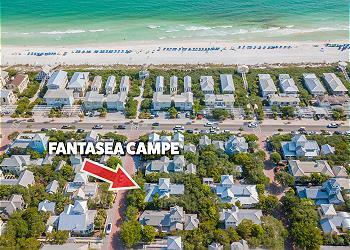 Fantasea Campe is located on the west side of town, close to West side pool and the 3rd cottage up from the beach. 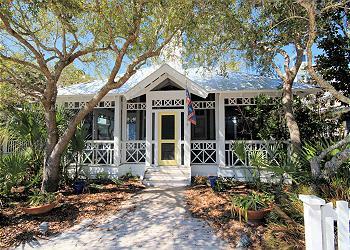 **This cottage requires Sat-Sat rentals during our peak season Spring Break and mid May-mid August!